Marbling has always been one of my favorite cookie decorating techniques. It’s fun, easy to do, and the possibilities are endless. 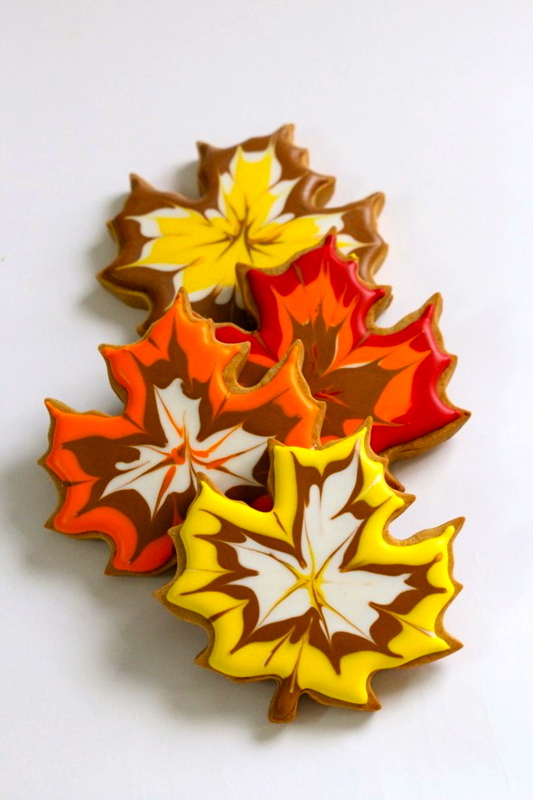 … or marble the whole design, like these leaf cookies. (Thanks to Lizzy B Bakes for this fantastic idea!). Even small details like wiping or not wiping the toothpick between each ‘line dragging’, will make a difference in the outcome. For a video on marbling, click here. For a tutorial, click here. Piping icing and letting it dry before you add more icing beside it, is another way to add dimension and texture. You can find more information on making the leaf here. 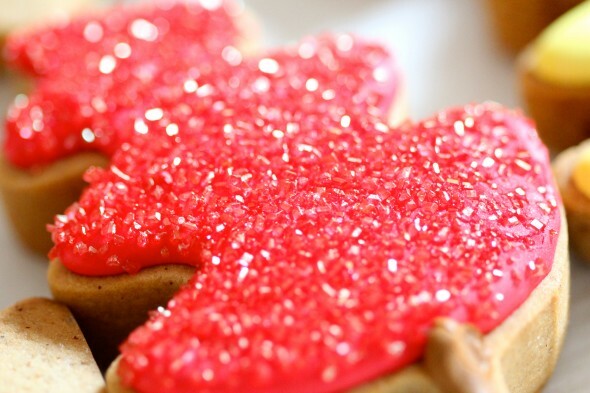 Sprinkling sanding sugar on your cookie is an inexpensive (and sparkly), way to embellish any cookie, and is also a great way to hide imperfections or mistakes! or the tops of these acorns. 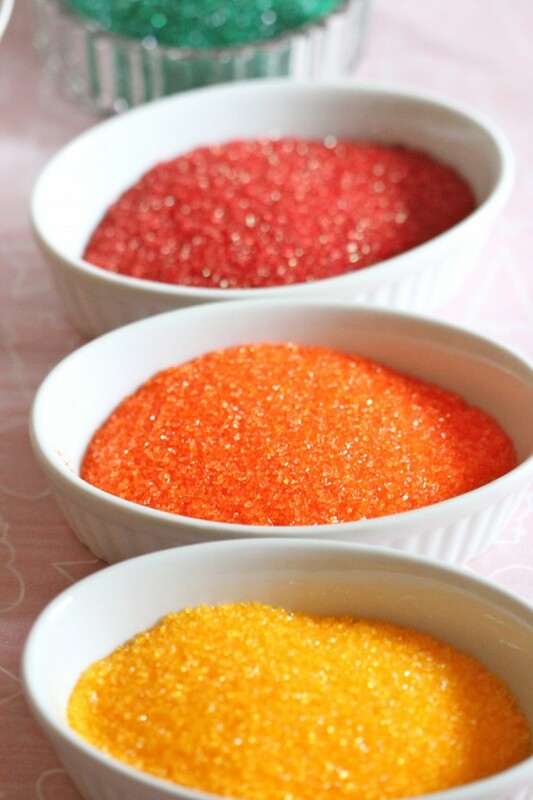 or match the sugar to the icing color. By the way, I love this great (practical), tip from Bridget; use a coffee filter to catch excess sugar when sprinkling it on your wet cookie. Use a thicker icing and change up your piping tip to create height and new textures, like this tip PME #44 for these mini pine cones. 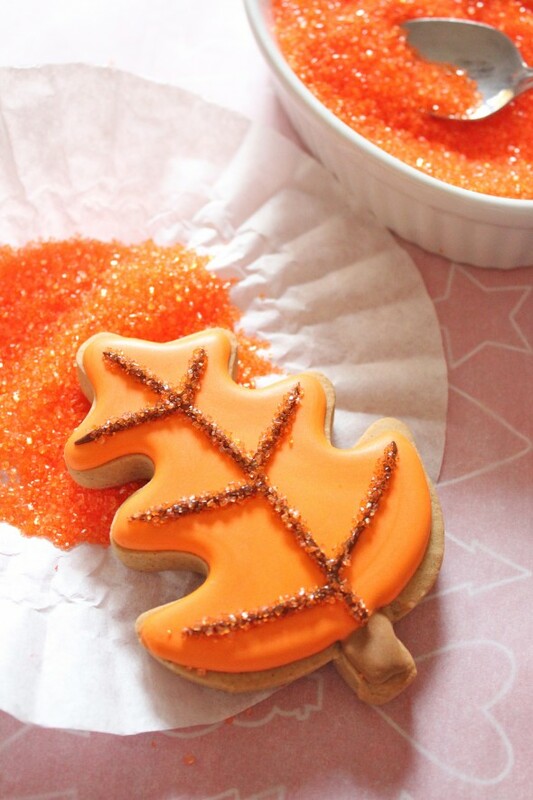 Or this #67 leaf tip for the leaf on an apple cookie. 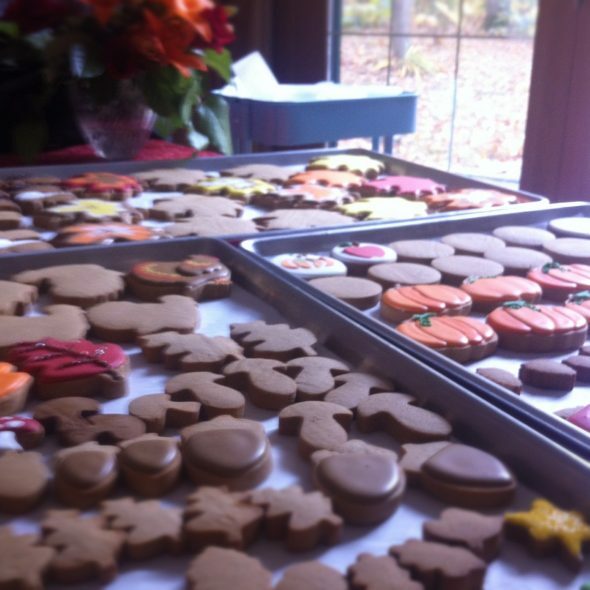 Something to note – Textured icing needs to have a thicker consistency to hold its shape. To test and make sure the icing is thick enough, dip a butter knife into the it (sitting in bowl), and pull straight up. If the icing forms a stiff peak or stands straight up, it will be thick enough. 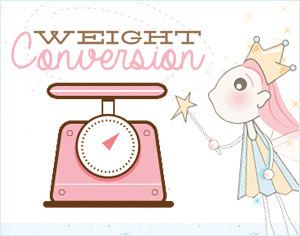 Have fun and experiment with tips you’ve never tried before! 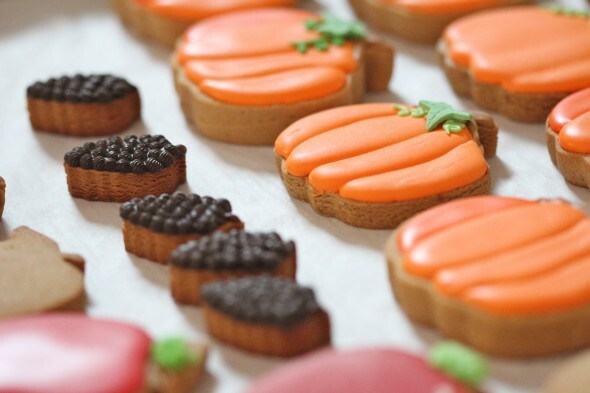 Play around with different ways to present your cookies once they’re finished. Besides a cellophane bag or clear boxes, stack them in a mason jar or layer them in pretty gift boxes lined with matching tissue paper. 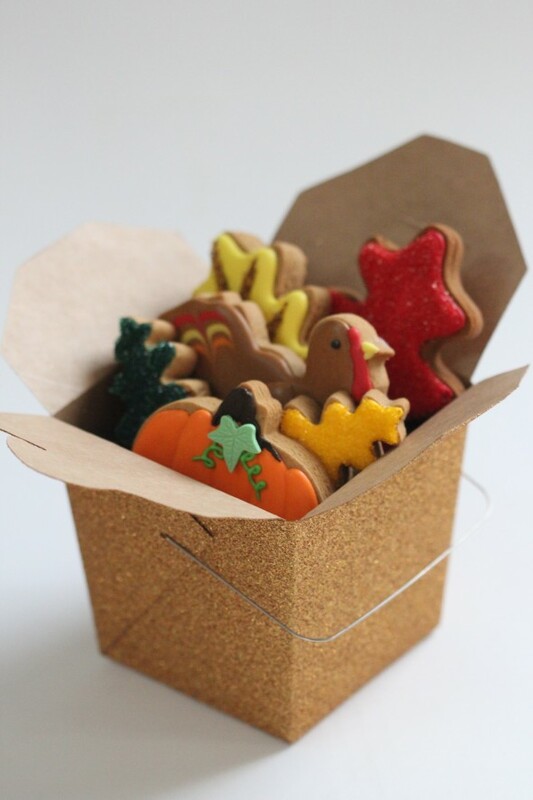 Even a cute take-out container (found this gold one at Michael’s), is a fun way to hand out a Thanksgiving gift. 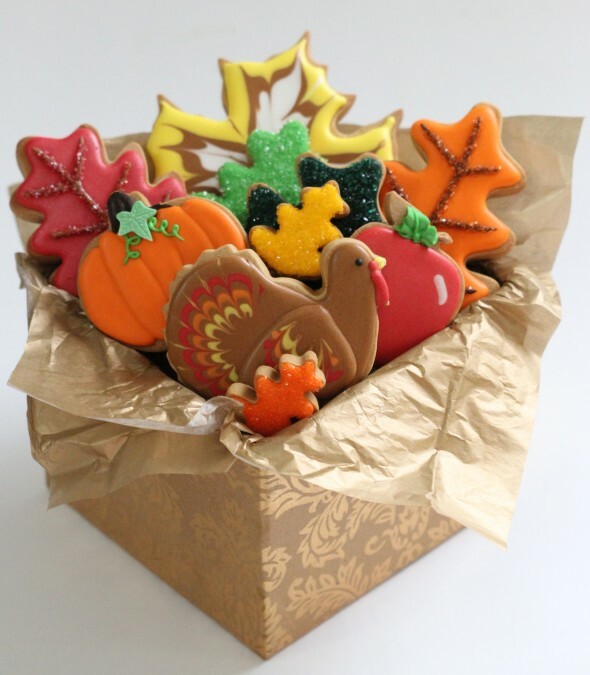 If you’re not giving them out right away, wrap in cellophane to keep them fresh. 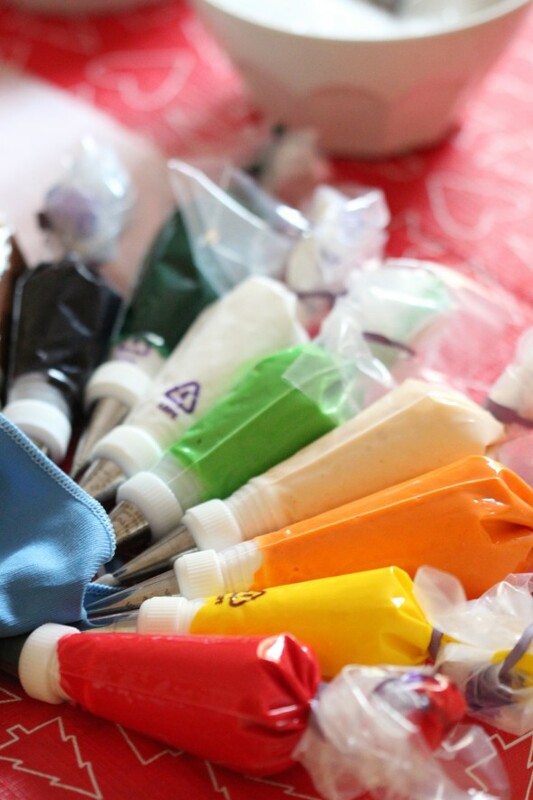 At first, all my piping bags all lined up and ready to go. 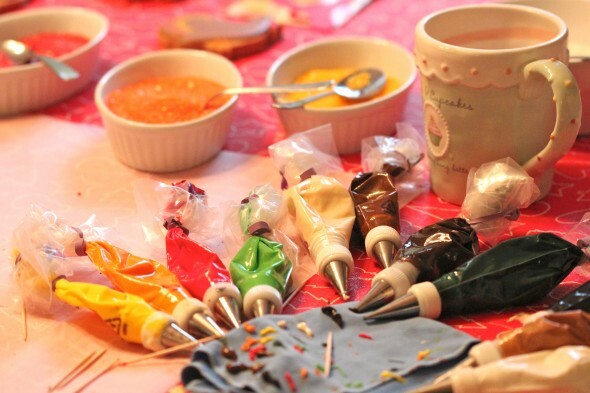 (Lately, btw, I haven’t bothered putting them in cups while I’m decorating – I just leave them on the table covered with a plastic tablecloth, and resting in a damp cloth). 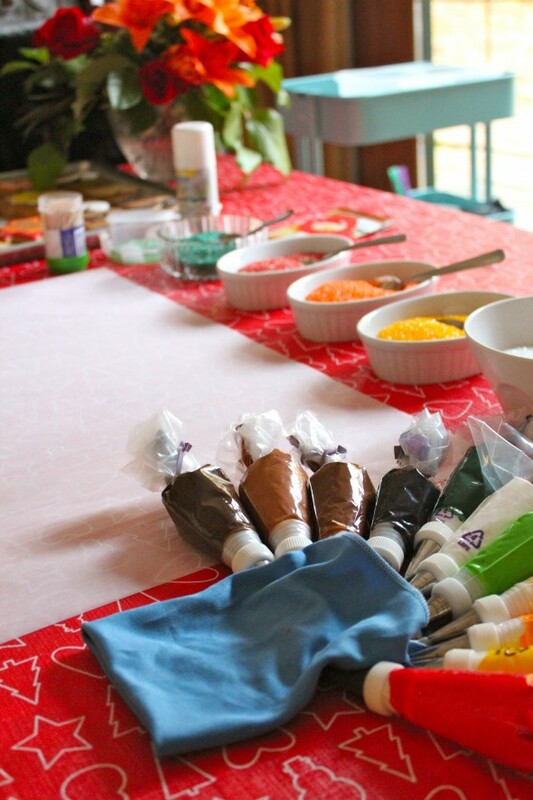 A large sheet of parchment paper and my decorating tools and sugars around me. Always a bit of a mess, but so much fun. And so worth it when I give them away. Hope you have fun decorating! If you have any tips of your own to share, or would like to ask a question, please feel free to leave me a comment below, or find me on Facebook, twitter or YouTube. Your work is absolutely flawless. I have a quick question. I am having a really hard time getting my border to dissappear. I always have that tacky like around the cookie. It drives me nuts and I don’t know how to make it go away! Do you have any tips on what I can do? After 2 cookie decorating classes, I still can’t get this technique right!!! !thank you. You should be called the cookie queen because you are amazing. Your tutorial is absolutely beautiful and informative! 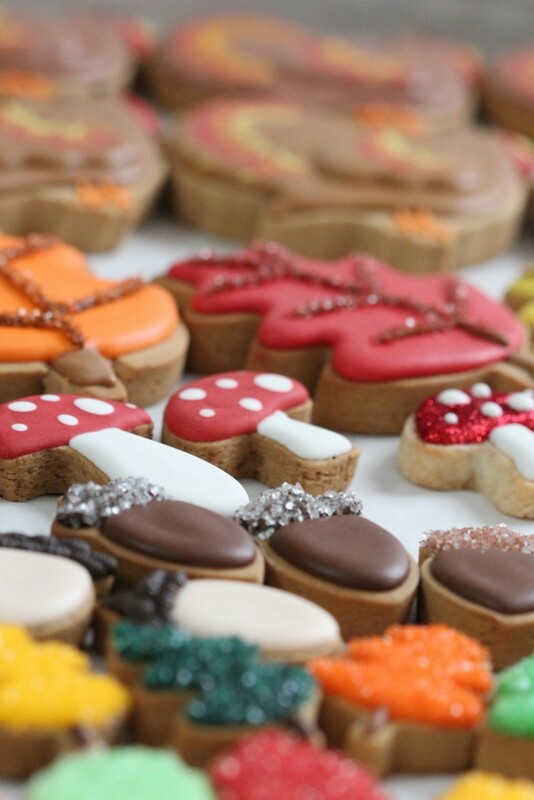 The photos of your cookie art are stunning as well as the cookies are beautiful! Thank you for sharing. New to your site. Obsessed with it and now it’s bookmarked! I totally love how you photographed your work station with before, during, and after photos – I was laughing when I saw the “aaand the end” photo. Thanks for your honesty and openness (and of course all the amazing wonderful tips!). LOVE your work! 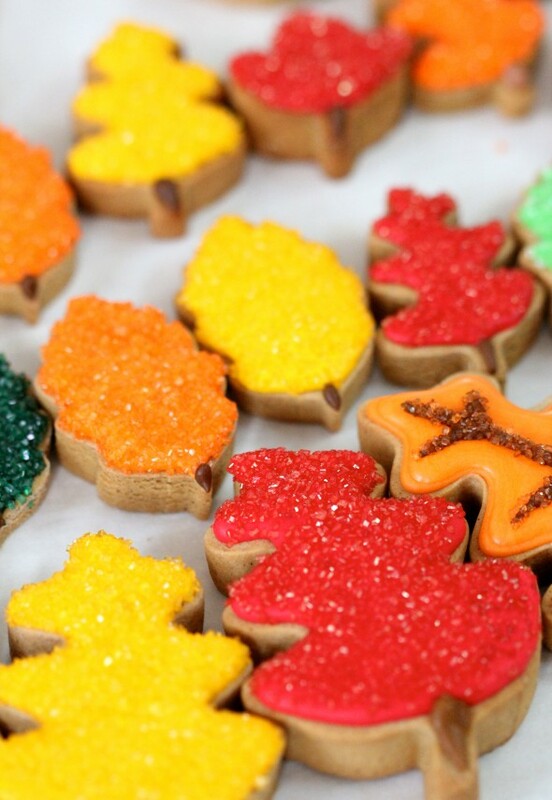 Can you freeze the decorated cookies? Worth checking all the comments out! 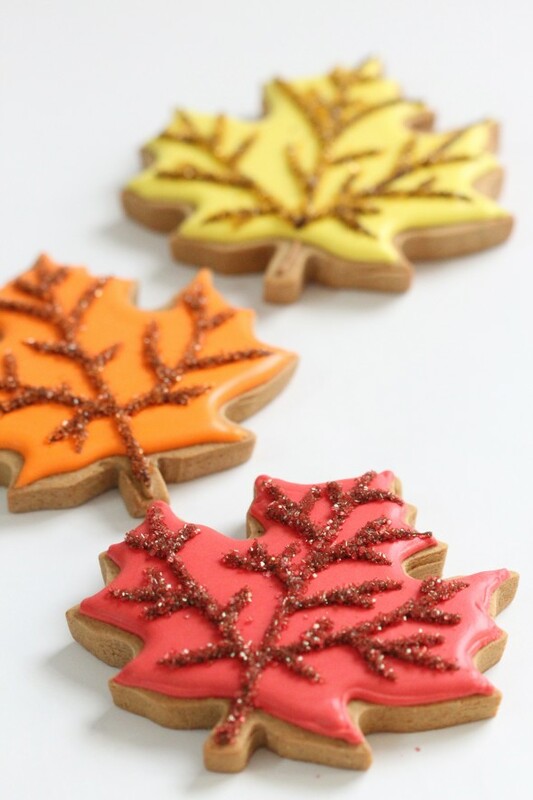 I’m going to decorate my maple leave today, marbling is so easy, fun and very effective indeed. I just love your tips and hints. I especially loved seeing your space. Honestly, mine looks exactly like that. 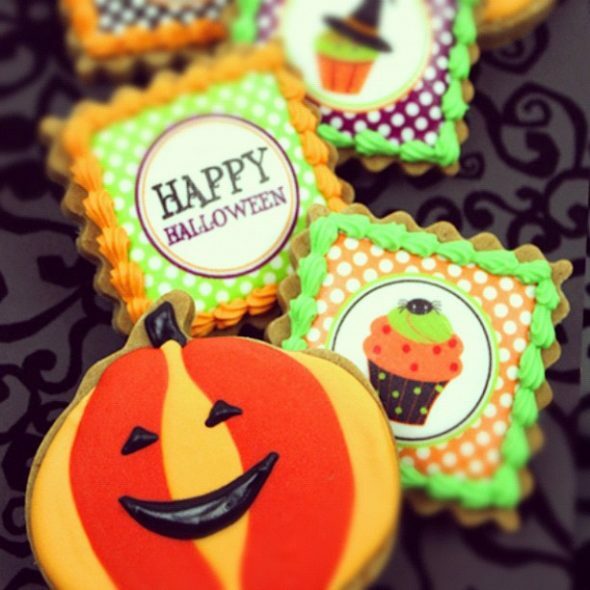 I love, love, love, decorating cookies. Keep it coming, I am learning all kinds of tricks from you. Thanks so much! All my recipes are in the recipe section at the top of the site. 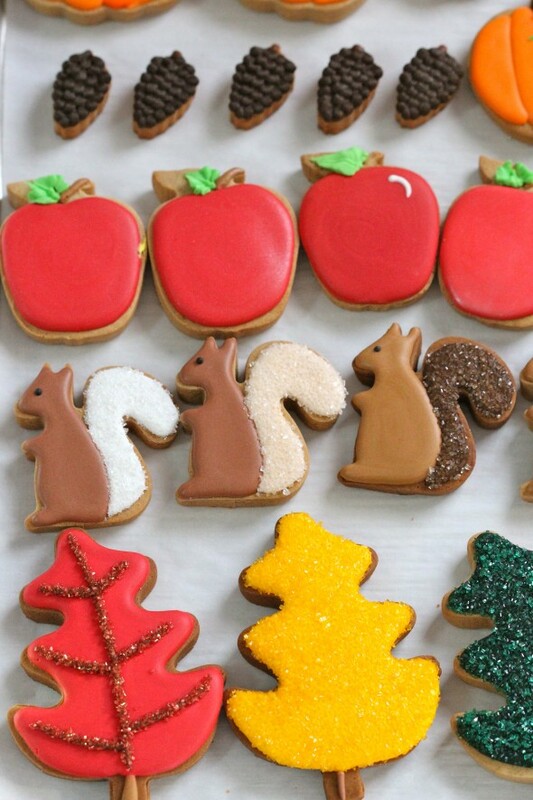 These are gingerbread cookies with royal icing. You’re cookies are beautiful. Thanks for sharing your skills and ideas. I’ve used the marbleing with candy coat chips to make leaves, butterfly wings, lady bugs, etc. To garnish cupcakes. 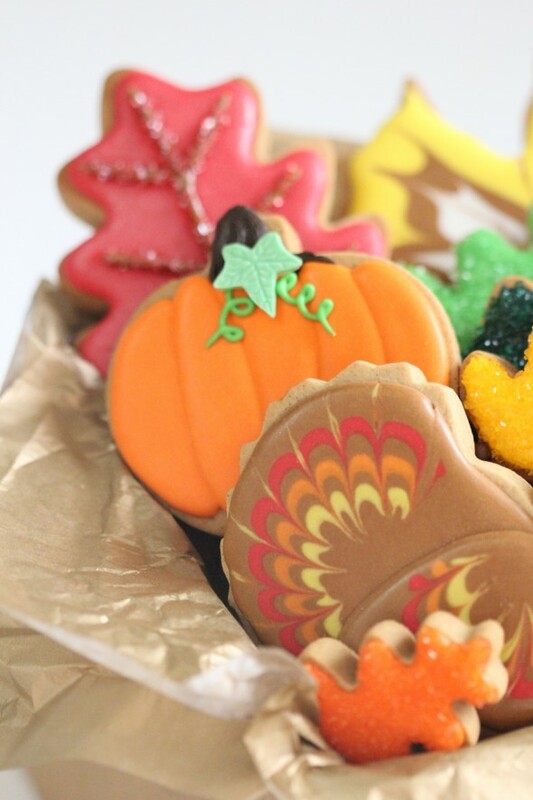 It really adds depth and contrast in the colors that make your cookies look beautifully delicious. I make palm tree cookies at Christmas time that I’m definitely going to try your tips on to add that depth and color contrast. Thanks, Be blessed, you are a blessing to us! 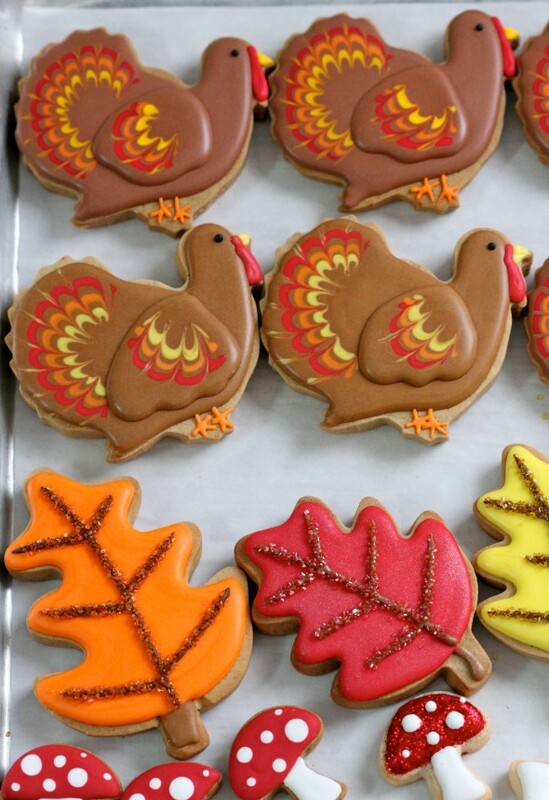 Okay so looking at those leaves and the turkeys, it is astonishing how you did them! Those lines are so perfect. Do you have a special trick or something? My lines never turn out that well haha. They just look absolutely flawless, I am jealous! Not that I can think of. Maybe a video would help? 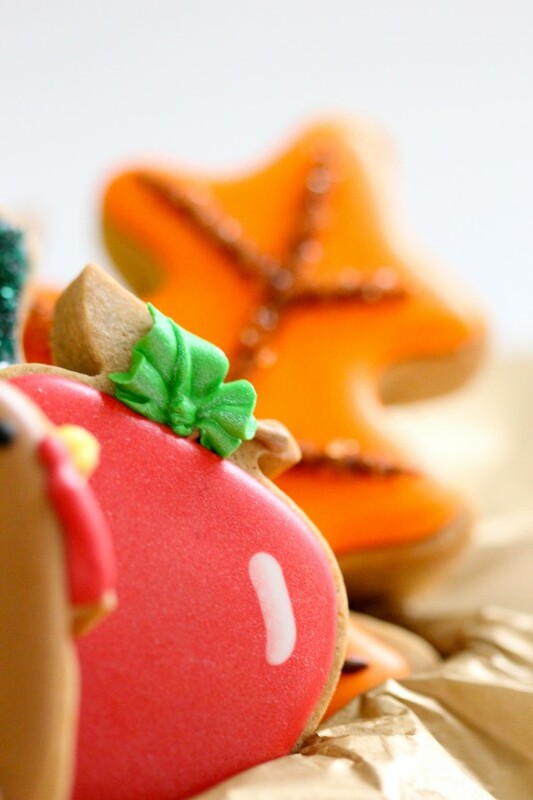 I have one on marbling Christmas cookies… It’s one of the first videos I made on my YouTube channel. (You can find the YouTube link at the top right of my blog… it’s the yellow (youtube) social media button). 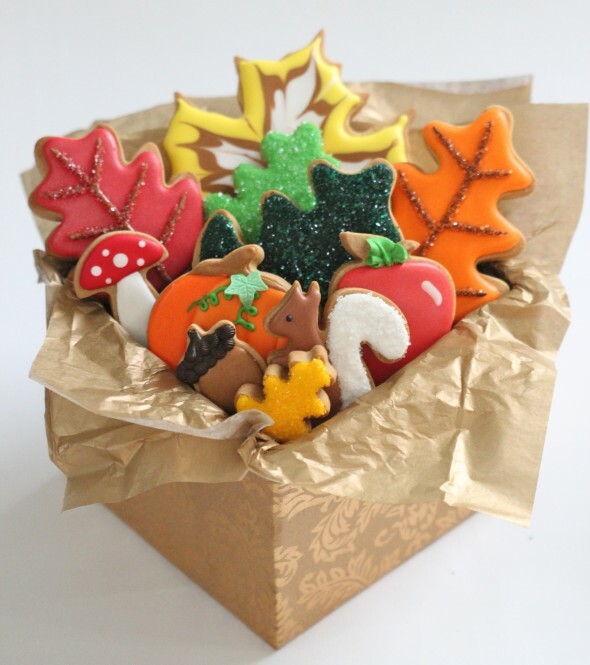 Hi, your cookies look fabulous. I have been following your site for a while now and really enjoy seeing what you are up to. I have one question that I have been wondering about for a while, how thick do you cut your cookies? 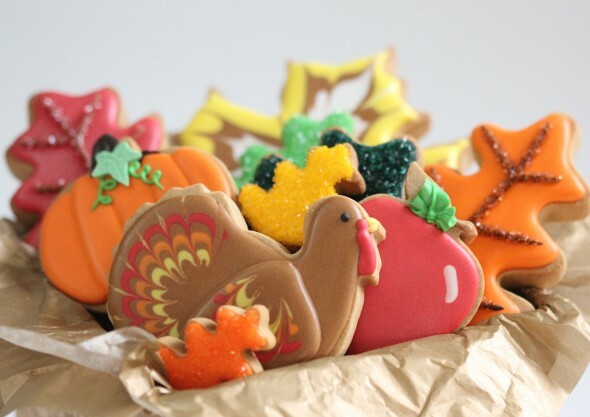 Here is a post for you on cookie thichttp://sweetopia.net/2013/11/how-thick-or-thin-do-you-roll-your-cookie-dough-how-do-you-make-the-dough-even/kness. 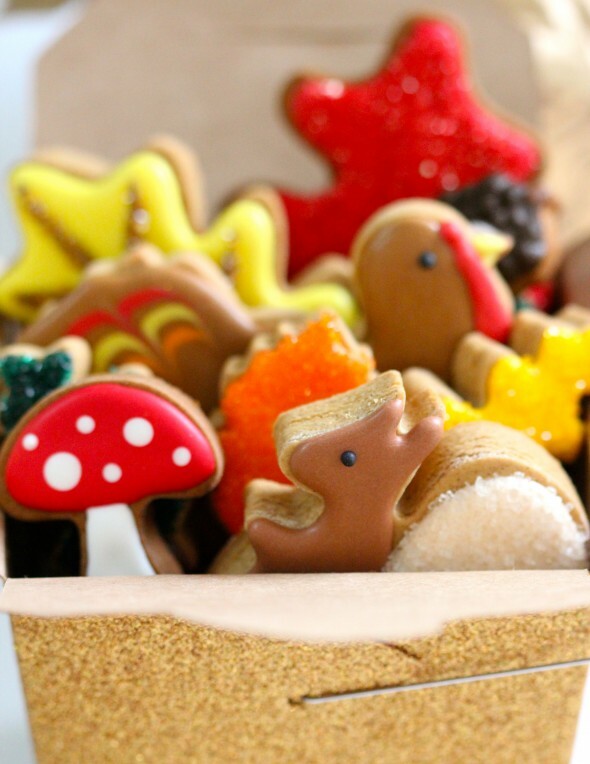 Very pretty site, and cookies. I am inept about decorating cookies and stupidly made dough for roll out Christmas cookies to take to my high school students tomorrow. I say stupid, because I don’t have time to do the icing/ heavy decorating bit–also don’t have the hand eye coordination. 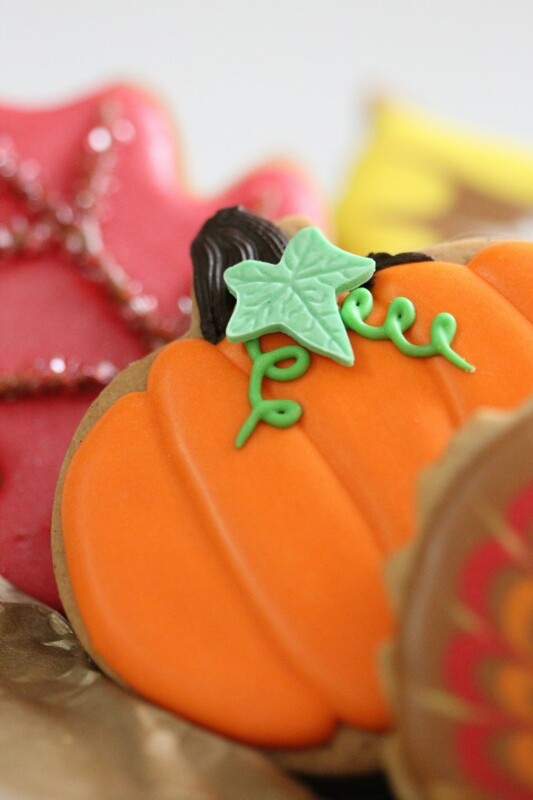 What would be a very simple way to add visual interest to my cookies? I have a large star and snowman cookie cutters. I appreciate your thoughts and time. Thank you! Do you have a favorite recipe for the frosting? 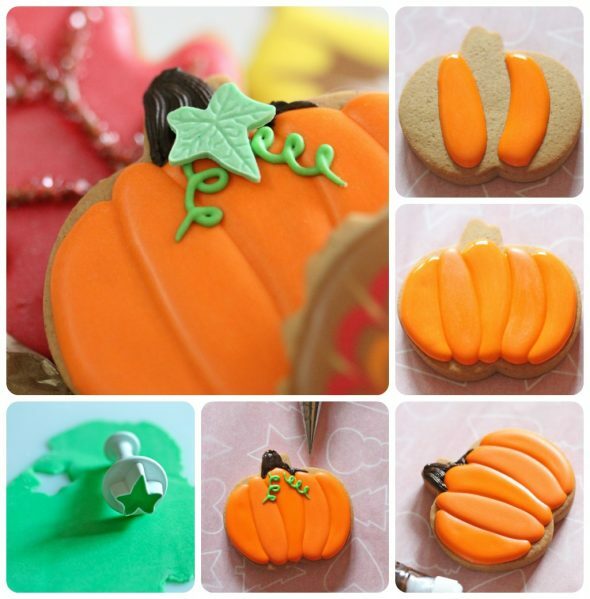 And as a comment, I love adding a drop of Orange oil or other oils to my frosting or chocolate. How did you pipe the wings on the turkey? Did you pipe another layer of icing over dried icing? Bonjour, combien de temps se conserve les biscuits décorés, dans un simple papier ou une boite de métal? I love your work !!!! C’est cream of tartar. Vous pouvez faire le glaçage royal sans la crème de tartre. (Il aide le glaçage sec un peu). It’s cream of tartar. 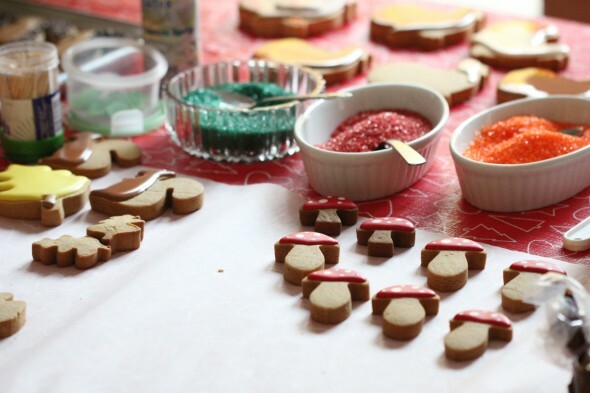 You can make the royal icing without the cream of tartar. 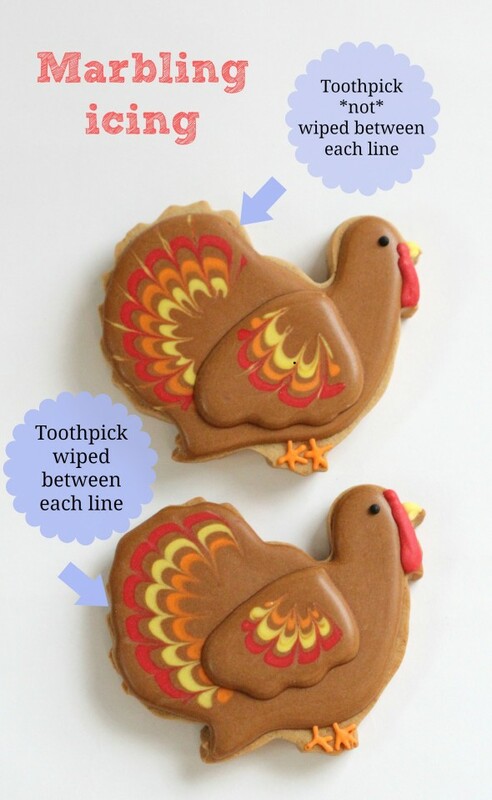 (It helps the icing dry a little). Hi and I love your site! 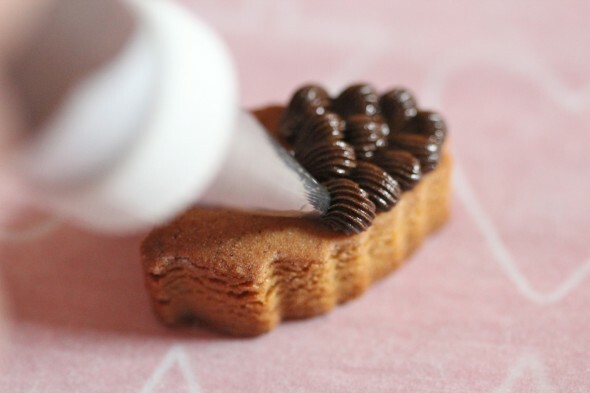 When piping royal icing and making dots, and flooding small areas…. in the middle it leaves a dent and sometimes a hole. What causes that and how do you keep that from happening? These are beautiful! How thick are your cookies?